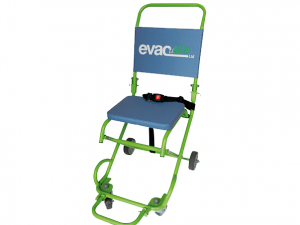 Evacuation Products for the Mobility Impaired | Evacusafe UK Ltd.
Evacusafe is a leading manufacturer of products which have specifically designed, and officially approved, to aid the evacuation of any mobility-impaired persons from a multi-level building, in the event of an emergency situation where the lifts are out of action. 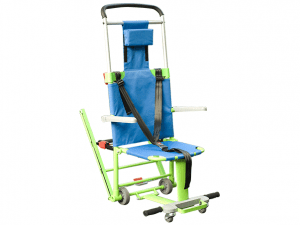 These products include Evacuation Chairs, Transit Chairs (Patient Transport Chairs) and Evacuslider Rescue-sheets. 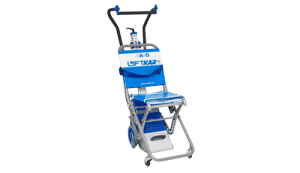 All of our products are designed to the highest standards, engineering, build and materials, with quality guaranteed. We are extremely proud to have our products in use, in a wide array of businesses and institutions, across the globe. 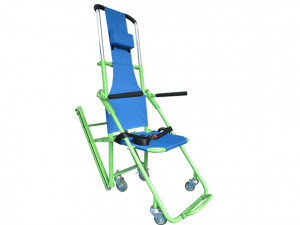 Evacusafe’s Tracked Stairway Descent Chairs are designed to enable the safe and comfortable evacuation of mobility impaired people in the event of an emergency, such as a fire in a multi-level building. 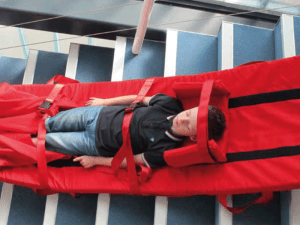 Evacusliders are a modern version of the Rescue-sheets, often used in hospitals and care homes, to slide patients to safety during an evacuation. 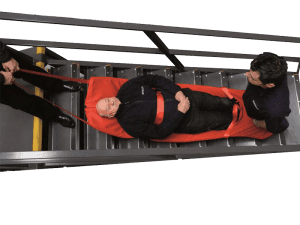 Quick to deploy and very easy to use, these rescue-sheets provide comfort and security for the patient. 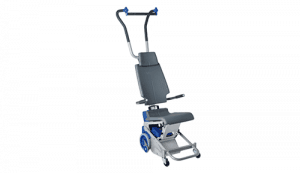 For people who need assistance getting up and down stairs, powered stairclimbers are easy to use, safe and can be operated without excessive effort. 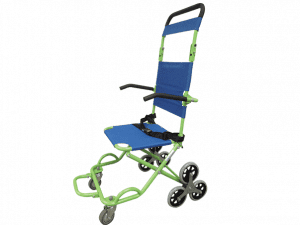 These are the newest additions to our globally successful product range. 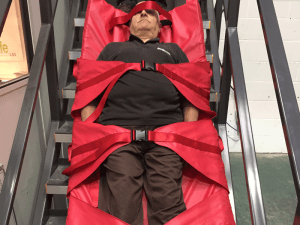 If you would like us to give you a full product demonstration, in order for you to see the benefits of powered stair climbers and how easy they are to use, please get in touch via our contact form to make arrangements or call our Head Office on 01256 332723.